And so our 12 Days of Christmas draws to a close.. But – before we go, we wanted to share this final gift suggestion! Personally, I think a homemade gift is the best gift of all – something that someone put a lot of heart into.. and nothing says that more than a warm homemade baked biscuit! There are tons of recipes available online – but here’s one that is super simple (great for beginner bakers) and affordable! Plus, they’re healthy! 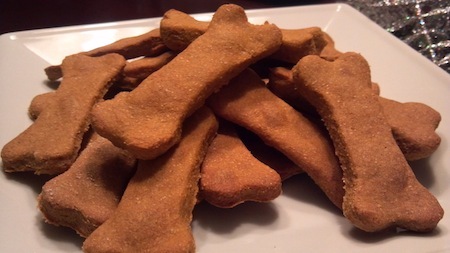 The peanut butter provides just the right amount of protein while the canned pumpkin is extremely high in fiber, excellent for your doggy’s tummy! 2. 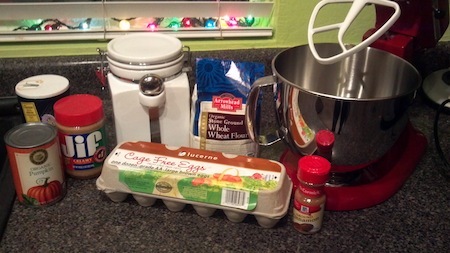 Place all ingredients into a stand mixer and whisk together (or whisk it yourself – it will be tough though so be ready to get an arm workout!). You may have to add a bit of water (tablespoon or so) if the dough is really hard to mix. 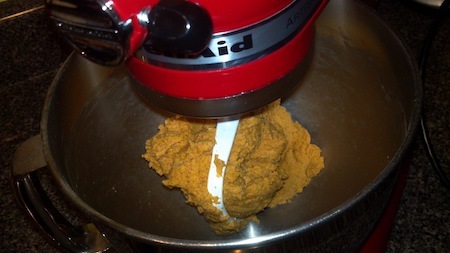 Confession: I’m embarrassed to say this is the first time we have used our Kitchenaid stand mixer. I’ve always been so intimidated to use it.. but it was surprisingly really easy to learn and so easy to clean. Can’t wait to use it again! 4. 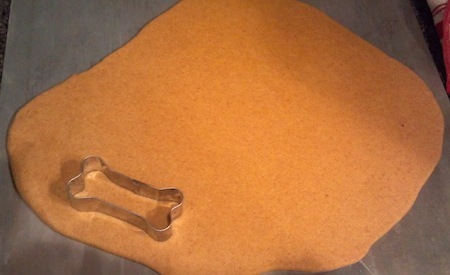 Use cookie cutter to cut out individual cookies. Take excess dough, roll it out again, and repeat until you’ve used most of the dough. 5. 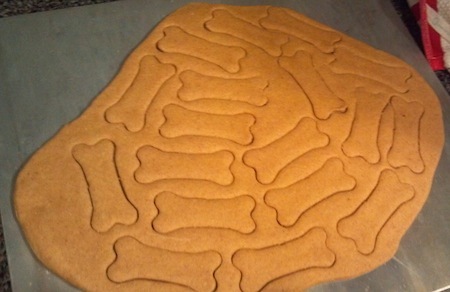 Place cookies on a cookie sheet coated with some Pam and bake for approx 40 minutes – until hard. Warning: while cooking your dog’s nose will be going crazy with the lovely smells throughout your kitchen! Use whatever cookie cutter you'd like! 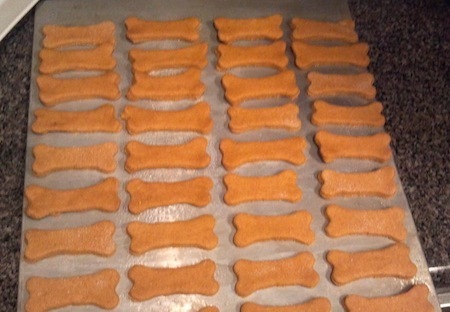 You can wrap several of these up in some basic cellophane wrap with holiday ribbon and take them to your friends’ pups. Easy, inexpensive, yet a very thoughtful and appreciated gift – done and done! 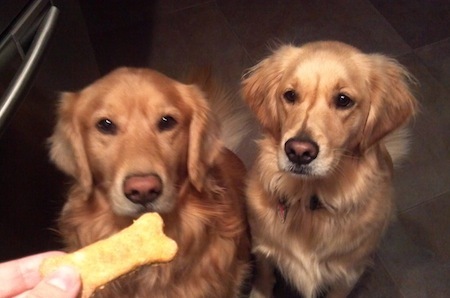 Whoa mom, those looks really dog-gone good!